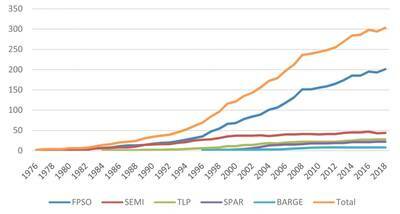 Floating production storage and offloading vessels (FPSO) are by far the most popular type of floating production system, accounting for two thirds of the oil and gas production floaters in service or available. The number of FPSOs in operation or available for deployment has grown by 33% over the past 10 years, from 151 units at end-2009 to 201 units at end-2018. This increase reflects the net result of delivery of new FPSOs and scrapping of aging units over the 10-year period. There are currently five FPSOs on order for delivery in 2019. Assuming no scrapings of FPSOs over the next 12 months, the expected deliveries will bring the total inventory to 206 FPSOs at end-2019. Contracts for 96 FPSOs were placed between 2009 and 2018 – an average of just under 10 FPSOs annually. But the average disguises significant variation in ordering pace. The high of 22 contracts was reached in 2010 when Petrobras ordered the hulls for eight serial FPSOs (two were subsequently canceled). In 2016 there were no orders. In both 2017 and 2018 contracts for nine FPSOs were placed. The nine FPSOs ordered in 2018 are to be employed in water depth ranging from 32 meters (Area 1 FPSO off Mexico) to 1,700 meters (Tanin/Karish FPSO off Israel). Six of the orders utilize new purpose-built hulls – including a speculative FPSO hull ordered by SBM. Three are conversions or modifications of existing FPSOs. Two of the 2018 contracts – an FPSO for use by ExxonMobil offshore Guyana and an FPSO for use by BP on an LNG project offshore Mauritania/Senegal – are front-end engineering design (FEED) contracts structured to morph into engineering, procurement and construction (EPC) contracts. Seventeen FPSOs are currently on order. Five are in the final stage of completion, with delivery scheduled by end-2019. Another two are scheduled for completion in 2020. The remaining 10 are in an early stage of construction with delivery planned in 2021/22. Five (30%) of the FPSOs being built are for use offshore Brazil. The rest are for use offshore Northern Europe (three), Guyana (two), West Africa (two) and Mexico, Israel, China and Malaysia (one unit each). The remaining unit is being built on speculation and, at the moment, has no field assignment. Ten of the FSPOs are being built on new hulls, while the other seven are conversions or upgrades to existing units. China has become the major location for FPSO construction and conversions. Eleven of the 17 FPSOs on order are partially or fully contracted to Chinese yards. Singapore has retained second position, with four of the 17 orders. Korean yards – at least for the time being – have disappeared from FPSO fabrication. 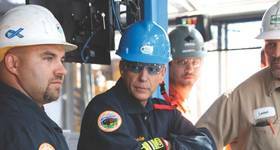 Topsides plant fabrication and integration is spread over a variety of contractors in Asia, Europe and Brazil. We have identified 102 projects in the planning stage that could require an FPSO as a production system. Some of these are near term, some further out. 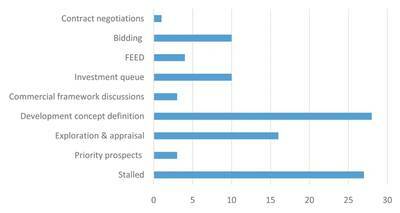 Of the total, 11 projects are at the bidding or contract negotiation stage. Another 10 are in the near-term investment queue, and four are in FEED. Another 50 projects are further out in the planning stage – either in development concept definition (28), E&P (19) or commercial framework negotiation (three). The remaining 27 projects in the planning queue are stalled. Some of these are stalled due to economics. Some are awaiting field partner or agreement on field commercial terms. Others are stalled by government opposition, field rights issues, operator failure or sanctions that prevent the project moving forward. Each year IMA/WER makes a forecast of floating production system contracts likely to be placed over the following five years. The forecast takes into account the number of projects in the planning queue and our assessment of market conditions likely to exist over the next five years. 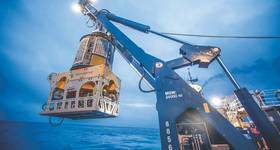 While there are more than 100 FPSO projects at various stages of development planning, for each to move to the development stage – and become a production floater order – a major investment commitment must be made. The decision to make this investment commitment is dependent on the future deepwater business environment. Based on our analysis, we are forecasting orders for 32 to 58 FPSOs between 2019 and end-2023. The most likely number is 49 FPSOs. 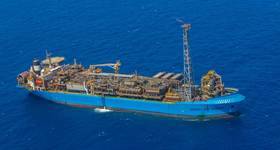 Brazil is expected to account for 30-35% of the projected FPSO orders over the next five years. 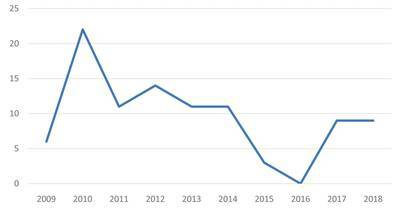 This figure reflects the large number of deepwater projects in the planning queue in Brazil, the expected rebound of Petrobras over the next few years and the future role of international oil companies in Brazil deepwater exploration and development (E&D). The FPSOs ordered for Brazil will generally be large capacity units based on purpose built or converted very large crude carrier (VLCC) hulls. 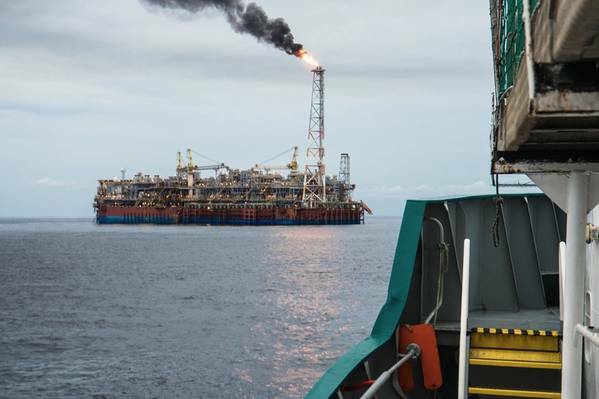 Africa is expected to be the second largest source of FPSO activity, accounting for 25% of the orders over the next five years. Some will be large purpose built units, some mid-size converted or purpose built units and some redeployed FPSOs. Other major sources of FPSO demand will be Northern Europe (~12%) and SE Asia/China (~10%). These will be a mixture of mid-size units, some designed for North Sea use, and include a few redeployed units. Our 2019 annual forecast report provides details for specific projects likely to generate future FPSO orders, timing of EPC contracts, role of redeployed FPSOs and composition of projected FPSO capex. For information about our 2019 floating production report and database, visit www.worldenergyreports.com or contact Jean Vertucci at vertucci@worldenergyreports.com.